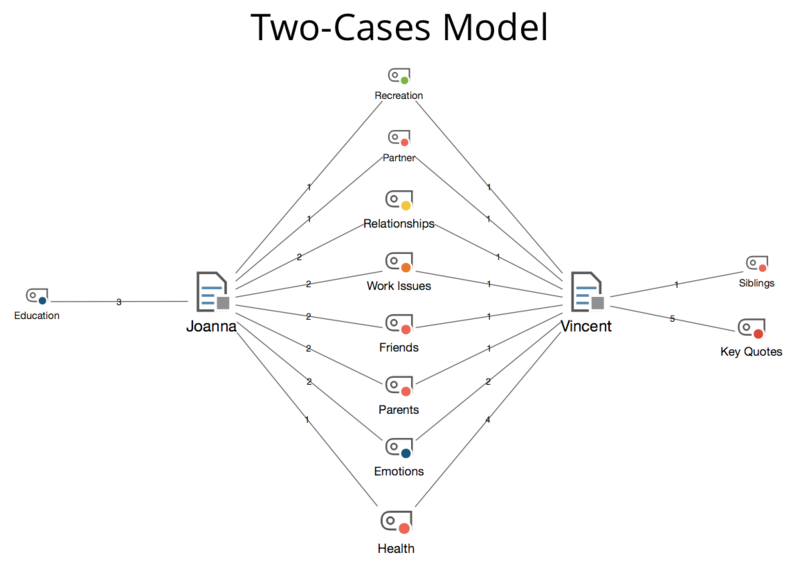 Using the two-cases model, you can visualize the extent to which codes, e.g. Relevant topics, occur in two cases or only in one case. The frequencies of the codes can be produced per case and their memos can also be integrated. 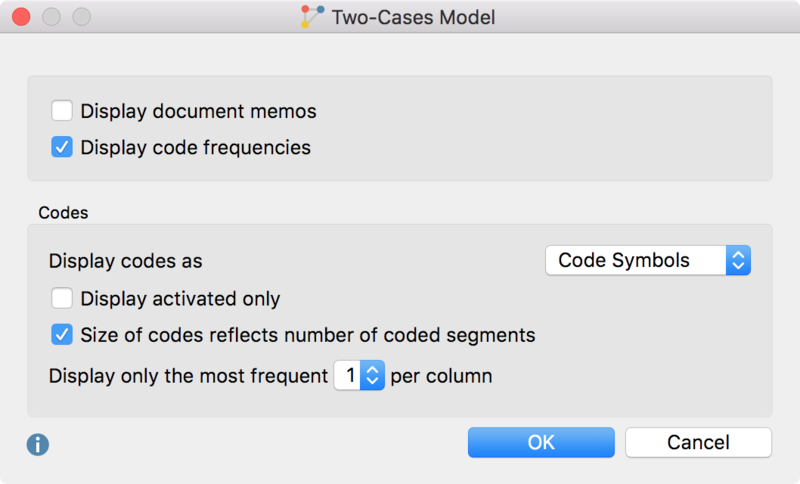 With the two-cases model, you can contrast two documents, document groups, document sets or a mixture of these levels. The two selected cases (documents in this example) are compared at a fixed distance. At the middle between the two cases you will see the the codes that appear in both documents. The pages contain the codes that were used in only one case at a time. The connection lines indicate the frequency of code usage. Display document memos – If this option is activated, the two memos belonging to the document or document group from your “Document System” are integrated into the map. Display code frequencies – This option displays the number of times a code is used in each case on the lines. Display codes as – The symbols can be displayed as circles or as code symbols in the map. The display of the codes can be subsequently changed via the “Properties” window. Display only the most frequent (5-15) per column – The middle and sides of you map will display at maximum the number of codes you select here. If the frequencies are the same, the code higher up the code system is given preference.